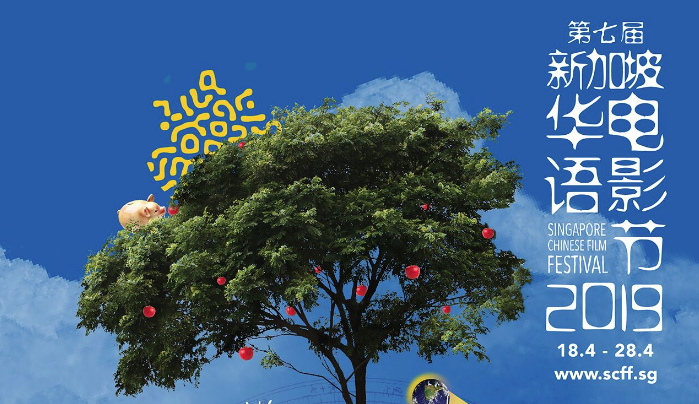 The Singapore Chinese Film Festival (SCFF) is back for the 7th time! Organised by the Singapore University of Social Sciences (SUSS)’s Centre for Chinese Studies (CSS@SUSS), and Singapore Film Society (SFS), the festival will be held over 11 days from 18 April to 28 April at Golden Village Suntec City, Golden Village Vivo City, The Arts House Screening Room and Filmgarde Bugis+. SCFF 2019 is proud to present two new sections: Filmmaker in Focus: Chang Yi, where we will be screening his latest work, an animated movie A Dog’s Life, and his award-winning films Kuei-Mei, A Woman and This Love of Mine, which have been digitally restored and remastered, and Non-Chinese Language Cinema by Chinese filmmakers, which showcases the diversity of spoken languages and cultures explored by talented Chinese filmmakers. The 7th Singapore Chinese Film Festival showcases over 60 films from the region. More than 20 filmmakers will attend post-screening Q&A sessions or panel talks. Amongst them is Ms Oliver Chan, director of our opening film Still Human which garnered 8 nominations at the 38th Hong Kong Film Awards. Moviegoers can also expect to meet directors of four out of eight feature films from the Hong Kong films: Jun Li (Tracey), Lee Cheuk Pan (G Affairs), Jevons Au (Distinction) and Jessey Tsang (The Lady Improper) are the new generation of directors, and their films cast light on different social issues in Hong Kong. Among the five Taiwanese films in the Chinese Panorama section, Long Time No Sea is a heart-warming movie for the whole family while High Flash and The Scoundrels feature award-winning Taiwanese actor WuKang Jen. Chinese Shorts Showcase features six collections of short films. The Golden Horse Film Academy Short Films 1 & 2 include eight short films produced by emerging filmmakers who were invited to take part in the mentorship and development programme by the Academy over the last ten years. Some local and Malaysian filmmakers who are alumni of the programme will reunite with highly acclaimed Taiwanese film editor and Chief Administrator of the Academy Mr Liao Ching-Song in the panel talk titled “10 Years of Golden Horse Film Academy”. In addition to the eight short films, others made by the academy’s alumni include An Elephant Sitting Still (Hu Bo), 14 Apples (Midi Z), Luzon (Chiang Wei Liang) and Firefly (Lau Kek Huat). Non-Chinese Language Cinema by Chinese filmmakers is a new programme segment this year. We have selected four films: 14 Apples, Soul on a String, The Silent Herdsman and Berlinale K-Plus winner A First Farewell – which illustrates the diversity in spoken languages and cultures explored by these talented Chinese filmmakers. Our closing film is In Our Time, which consists of four short films directed by Edward Yang, Ko Yi-Cheng,Chang Yi, and Tao Te-Chen. It marks the beginning of the Taiwanese New Wave, a movement of the 1980s to rejuvenate Taiwan cinema. For more information, please visit SCFF. COMMENTARY: How Was Video Invented?